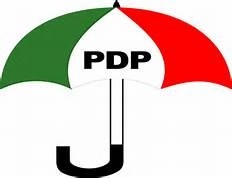 The PDP is accusing the ruling All Progressives Congress (APC), of masterminding the separate convention by using its members for its desperate effort to destabilize PDP ahead of the 2019 General Elections. The PDP’s publicity Secretary, who raised the allam on Friday, described members of the party in the plot as unscrupulous. “This is totally uncalled for and a complete act of sabotage. Those making such plans cannot be said to be honest members of our party, the PDP. They are not patriotic but just out to destroy our party,” Adeyeye stated. “The National Caretaker Committee has been working very hard to carry all party members and supporters of the party along in all the preparations for the Convention. “We are also putting our resources in place to address all the fears earlier reported by some National Chairmanship Aspirants. One of the steps taken by the leadership is to make available and in good time, the comprehensive names of all the Delegates for the National Convention to all the Aspirants before the Convention. “We therefore see no reason for any honest member of this great party to want to disrupt our programmes, except they are of course working for the ruling party, the All Progressive Congress (APC). “We are not completely oblivious of the plans by the APC to sabotage our convention. Apart from the internal fighting within the APC, one of the reasons why the party postponed its National Convention to next year was to enable it to monitor closely our convention with a view to destabilizing our party ahead of the 2019 General Elections. “The planned parallel Convention is one of those ideas of the APC to create divisions amongst members of our party. It will be most unfortunate for members of our party to allow themselves to be used against the party especially in the light of our recent painful experience. “The National Caretaker Committee is willing and ready to address all the concerns of our party members regarding the forthcoming National Convention," Adeyeye said.